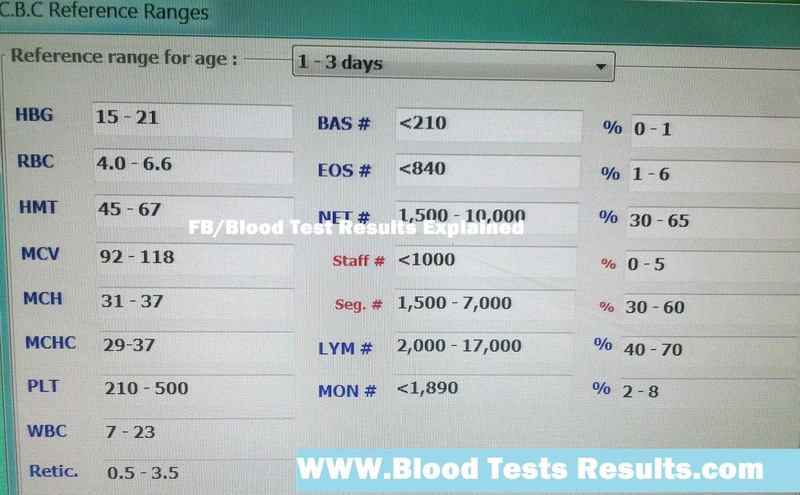 All blood cells count have higher values when compared with adult normal CBC values which due to increased hematopoeitc manufacturing of blood cells in newborn babies, however, a slight change from CBC birth values have seen. Hemoglobin value from 15.0-20.0 g/dl is not a serious condition since it is within normal limits for low age of neonates. Note that there are slight changes from newborn CBC normal values than 1-3 days normal CBC values, which useful for differential diagnosis of medical conditions such as neonates anemia and neonates hemolytic disorders.